A massive fire broke out in a 2-storey factory in Delhi's Udyog Nagar area. As per the reports, 30 fire tenders are present on the spot to control the situation. The fire has completely engulfed the top floor of the two-storey building and firefighters are trying to douse the fire. So far no loss of life has been reported. 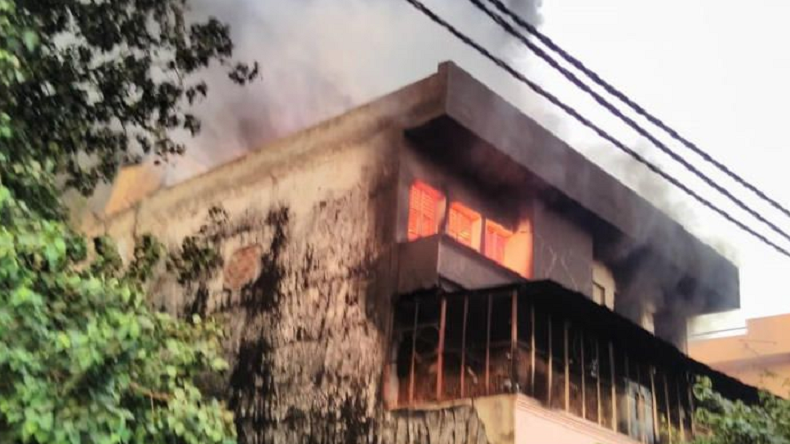 As per the latest reports, a massive fire broke out in a 2-storey factory in Delhi’s Udyog Nagar area on Sunday morning. Sources have reported that 30 fire tenders are present on the spot to tackle the situation. Any casualty or loss of life has not been reported so far. The fire has completely engulfed the top floor of the two-storey building. Earlier the day, another incident of fire was reported from central Kolkata’s Bagri Market area, where a building was all on the massive blaze. Reports suggest that the incident took place around 2:45 am today. After being informed, 20 fire tenders were sent to the spot to control the fire.